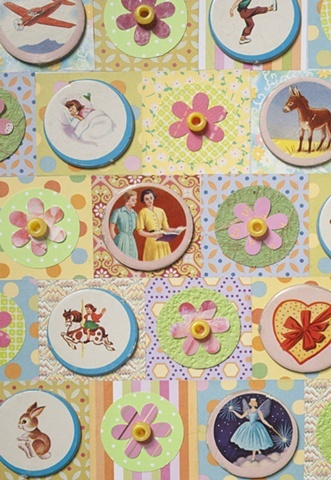 My friend Lisa Abel saw these cardboard disks for sale on etsy and thought I could use them. Not sure what they're from (a board game? ), but the images are both reassuring and mysterious.